Fishing from ladders has become synonymous with Pyramid Lake. 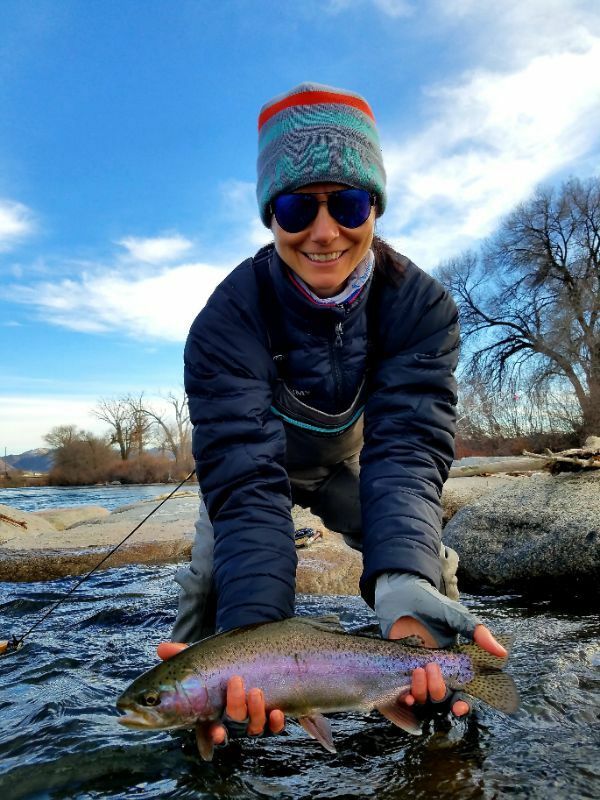 Specifically during the spring season, as temperatures rise and people come out from hibernation and begin lining up awaiting their chance to land a truly monstrous trout. 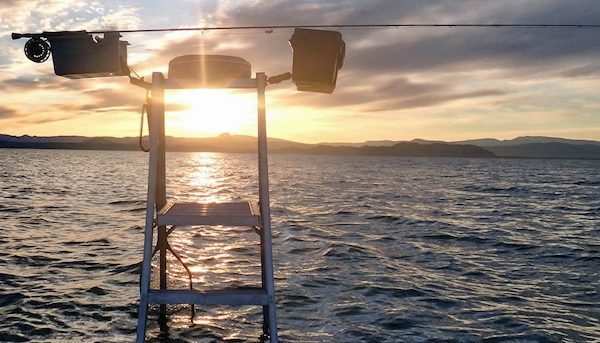 Most people are unaware of the reasoning behind ladder fishing and its true purpose at Pyramid Lake. I hope to break down the elements and reasons for using ladders at the lake and maybe even change your mind to their perceived necessity. Ladder fishing has evolved over 40 plus years of fly fishing at Pyramid lake. Its humble beginnings were as milk crates that anglers would stand on to raise themselves up from wadding into deeper water, allowing them to cast easier and farther. Anglers would tie floating duck decoys to keep track of the submerged milk crates. Jump forward to today, and ladders have become an item of luxury. With padded chairs, extra rod racks and cup holders. Today’s ladders have lost some of the essence of what they once were, and in doing so have lost their intended purpose. If you have ever fished at Pyramid Lake before you know that it is a stark environment and a lake of that size looks out of place between the high bare mountains and bleached white Tufa rocks. That environment has shaped the lake in such a way that the Lahontan Cutthroat Trout (LCT) that inhabit the lake feed very close to shore in shallow water. The Lake reaches 340 feet at its deepest, but it does so very quickly. Steep drop offs surround the lake plunging from 3-15 vertical feet as you move away from shore. Because of these dramatic changes the area in which trout feed is closer to shore. Trout rarely feed at great depth, as the amount of food decreases as water gets deeper, colder, and more devoid of light. Pyramid Lake is unique then that from shore anglers can access 20 plus feet of water with ease and often without getting wet. So why use a ladder? These drop offs occur in differing distances from shore and differing slopes. For example, beaches on the southern part of the lake have drop offs that are only a few feet from the edge of water and in only 1-2 feet of water. Conversely, the middle part of the lake the drop off can be as far away from shore as 100 yards or more and in 6-8 feet of water. Essentially making the drop very difficult, if not impossible, to reach with a fly cast from shore. Unless, You wade into the water and try to get as close to the drop off as possible. This is where ladders are important! Wading into 4-5 feet of water has its disadvantages. For one, casting at distance is inhibited. Two, winter water temperatures quickly steal any heat that you’ve gained from sitting in your heated truck. Lastly, any wind or weather can create waves that reach a few feet high. Just high enough to fill your waders or knock you off your feet. In that case ladders are a great tool for getting an angler out of the water and above any challenging conditions. Keeping an angler warm, dry, and most of all able to cast long distances to the drop off and closer hungry trout will increase the frequency of hooking a trout significantly. If there is an appropriate time to use a ladder. Is there an inappropriate time to use a ladder? Definitely! Beaches where drop offs are pronounced and close to shore are areas where, in my opinion, ladders should not be used. (with a few exceptions but I’ll get to those later) When ladders are used at these type of beaches fish are pushed away or spooked from feeding closer to shore. Also, trout don’t always feed the first time they see a prey item (fly). They follow and stalk food sometimes through great distances. We call these “follows” and they are very common at Pyramid Lake. The LCT will follow your flies right to your rod tip, this is a crucial moment as the trout will then decide to eat or flee. Being high up on a ladder close to drop offs can make that decision very easy for trout as they will flee from movement above water. Even apex predators are spooked by movement or figures outside of the water as that is their primary source of predation from humans and Pelicans. I understand that what I’m saying may not be popular in certain circles. But I have seen many instances as an angler and a guide where ladders have decreased fishing success, not just for an individual, but for an entire section of beach. As I stated above, there are exceptions, and times where I will use a ladder at beaches where the drop off is close to shore. At times where waves are crashing on shore, fish are not able to see out of the water as well so I will use a ladder to keep from getting myself or my clients pounded by waves. In extreme cold, I will use a ladder, but I may place it back from the drop off a few feet to lower my profile from above the water. Lastly, there are times that I will also use them for comfort purposes or when physical assistance is needed for a client with impairment to mobility or health. But as always my mind is focused more on how I can minimize the LCT’s ability to see me or my clients. So when using a ladder/chair it is best to place it back away from the drop off. Ladders are a tool that we use out at Pyramid Lake, and just like any tool they serve a specific purpose. I believe that the use of ladders becoming synonymous with Pyramid Lake is a fun and unique aspect to our fishery. But it has a time and a place just like a hammer was designed for a nail, and a screwdriver for a screw. Using only one tool for both applications will only leave the user frustrated and the goal most often unaccomplished. So the next time you’re fishing the lake and fishing may be slow ask yourself if the fish are seeing you before you are seeing them, and make adjustments if necessary. Try moving your ladder away from the drop off, or try not using the ladder at all and wading into the shallower water. I’m not saying its a cure all but i wouldn’t be shocked if your fishing experience shows improvement.